There are those who exercise and those who’d rather stick pins in their eyes. Anyone game for the former may be interested in ‘parkruns’, a concept imported to South Africa by Comrades legend Bruce Fordyce. A parkrun he attended in London galvanised him into action: ‘I was struck by the sight of hundreds of very unathletic people thoroughly enjoying themselves,’ he enthuses. Characterised by being free (thanks to community volunteer input), just 5km long and above all, happy, parkruns were initiated by Fordyce in 2011 in Jozi (well, someone’s got to help those Gautengers). 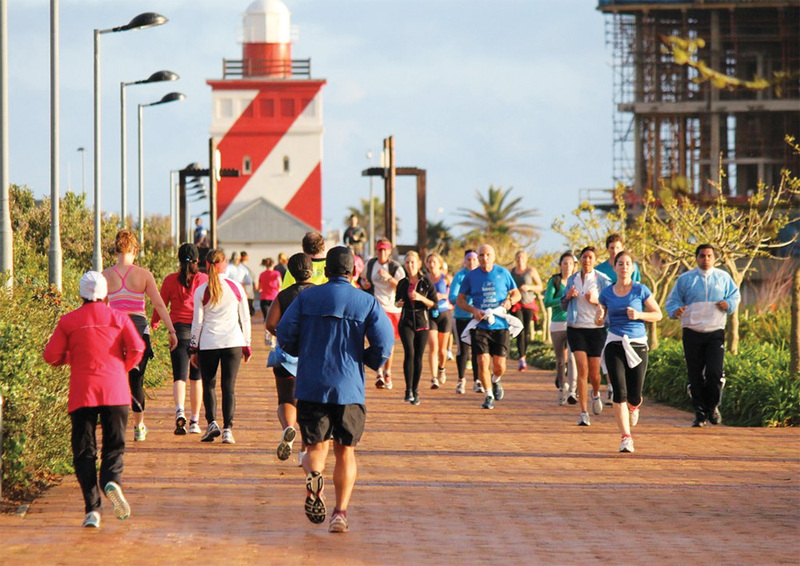 Six years later, over 360,895 South Africans are registered parkrunners pounding safe, traffic-free terrain all over SA. Participants find their own pace, so you can be a lycra blur using the run as a warm-up or lag at the back with a dog/child/babe-in-buggy. Children are welcome but must be age 4 and over to register and get their own barcode (and all under 11s must be accompanied). 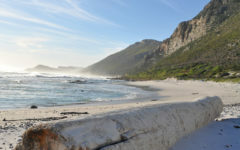 Cape Town has 10 marvellous locations. You can’t really call them all parks, but they’re all the better for that: Bellville, Big Bay, Bridgetown, Century City, Constantia Greenbelt, Fish Hoek, Green Point, Mitchells Plain, Rondebosch Common and Zandvlei. If you want to make a day of if, try a parkrun in the Cape winelands which boast seven scenic routes: Breede Valley, Durbanville, Franschhoek, Paarl, Route 44, Somerset West and Wellington. 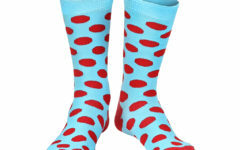 As you prance along, endorphinised, in these great spots, you many wonder if life can get any better. Global bonus: once you’re registered in SA, you can participate in free parkruns in eight countries round the world! Winning consistently excellent reviews on Tripadvisor is the Green Mountain Trail, a luxurious four-day ‘slackpacking’ trail through otherwise unavailable working Elgin farmland of rousing beauty. Included are four-star accommodation, meals, wine tastings and a guide − and they even send your baggage on ahead! 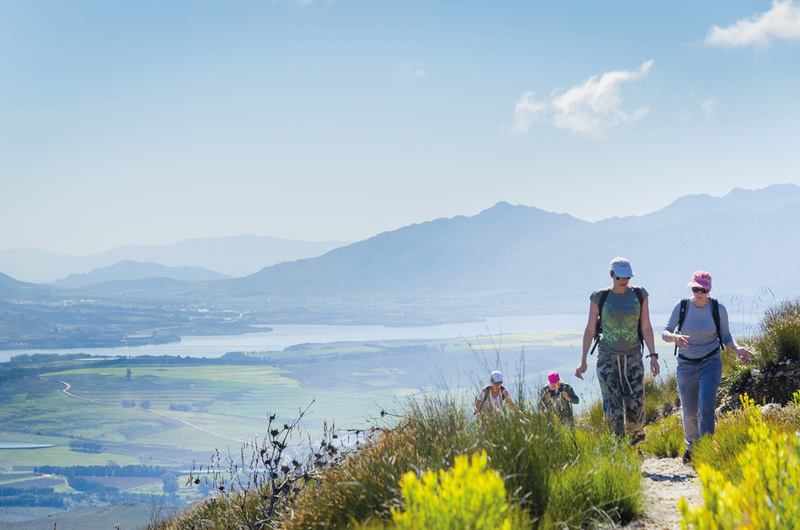 The trail is 60km in total and winds through forest, fruit farms, fynbos and vineyards, with bountiful bird and animal life completing the rural idyll. Good fitness levels required, but you don’t have to be young. ‘We’ve had everyone from 16-year-olds walking with a parent right up to people in magnificent shape in their 80s,’ says co-owner Alison Green. Tailor-made trails also available. Newfangled trampolining: can you resist it? It’s time to talk to your wobbly bits. There’s a new thrill in town and they’re just going to have to accept it. Say hello again to trampolining, people! It ain’t nothing like the olden days (presuming you too got three short minutes on a muddy one in your friend’s garden until an older brother pushed you off?). This is trampolining of titanic proportions. Picture a massive carpet of wall-to-wall, interconnected trampolines where the bold and the foolhardy ricochet off padded walls, and you’ll be getting the hang. But nowadays, people don’t just jump, darlings. How about dodgeball-with-a-bounce, adult fitness classes, teen club nights (alcohol-free, mercifully) and even corporate bonding sessions wherein colleagues compete on a ‘battle beam’ suspended over a foam pit? Two Cape Town establishments have recently sprung up (haha?) to cater for what they claim is a global trend. 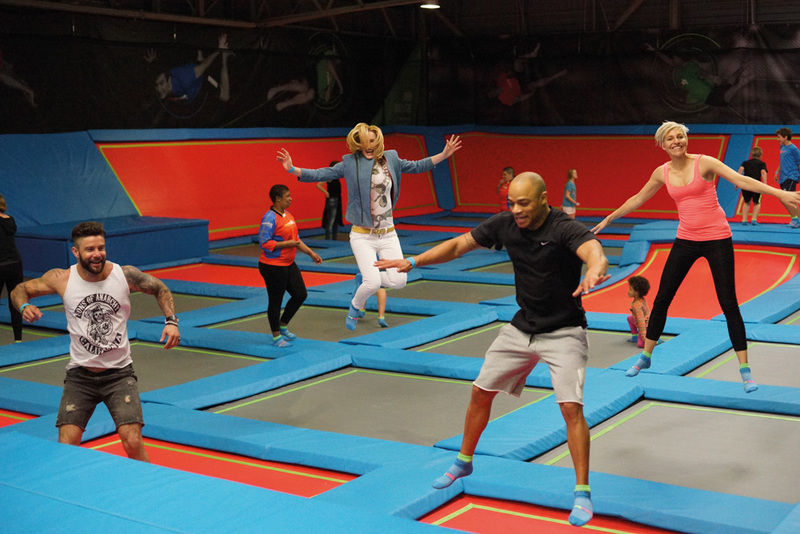 Rush in Claremont offers 1 500 square metres of trampolines, and Jump Around (Paarden Eiland) isn’t far behind size-wise. Both also proffer coffee areas for parents/supporters who prefer to sit on their derrières, texting. But most will be lured in. You may not give two hoots that trampolining is a low impact, core-strengthening exercise that burns three times more calories than jogging and drains your lymphatic system beautifully (or so they say), but can you really spend the rest of your days resisting a little boing? Eeeeeeeeeeeek! Lonely Planet dubbed this Grabouw ziplining set-up the world’s second hottest new experience in 2015. A Grabouw ziplining outfit was named the World’s Second Hottest New Experience of 2015 by tour guide Lonely Planet (Hottest? New York City’s new One World Observatory at the rebuilt World Trade Center.) 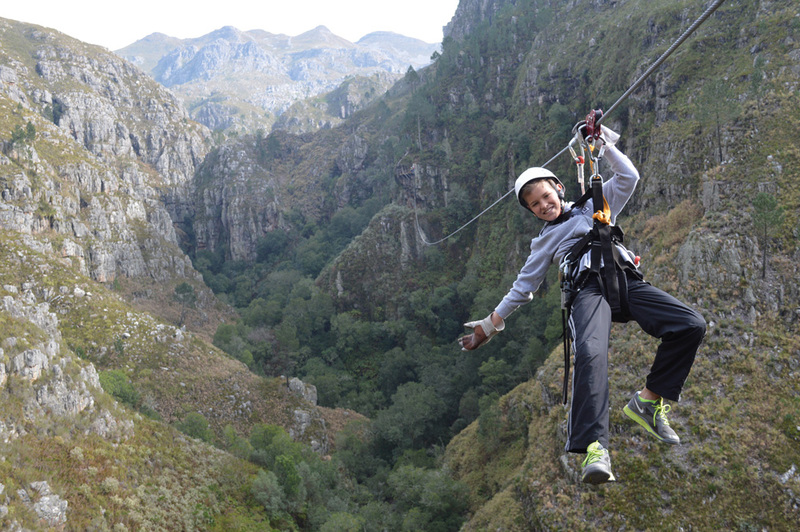 The vertigo-tinged Cape Canopy Tour electrifies the adrenals with slides of up to 320 m long. Ok, so Thislife Online admits a faint bias towards believing sporty men with lovely French accents. But what Patrice says makes perfect sense, and there are fast growing numbers of SUP-ers out there proving it. 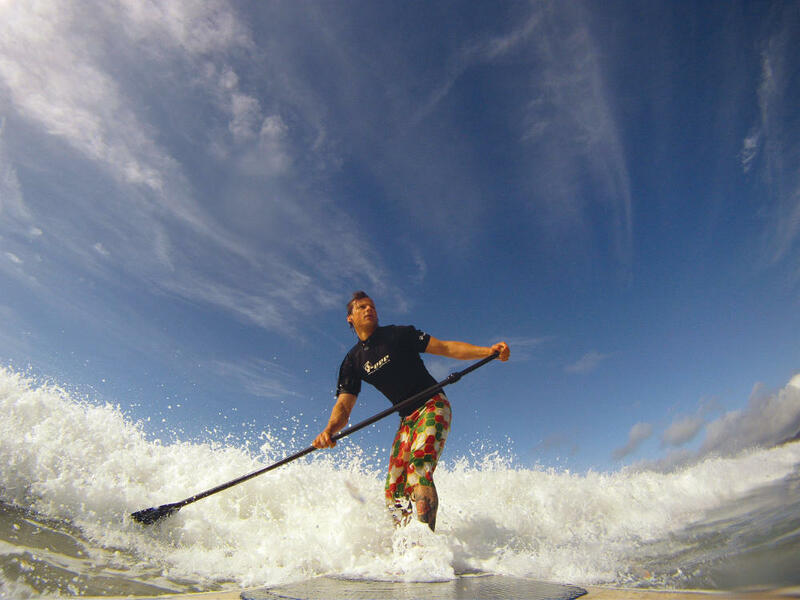 The joy is, you can SUP on flat water or big waves (advisable only when you’ve got some experience under your belt). Boards are rentable from various surf shops, and if you shop around you can rent one for around R130/1.5 hours (includes board, wetsuit and paddle) or R500/daily. Urbanites can SUP around Cape Town’s canals down to the Waterfront, and there are even mobile companies that will bring a SUP to you on the beach. 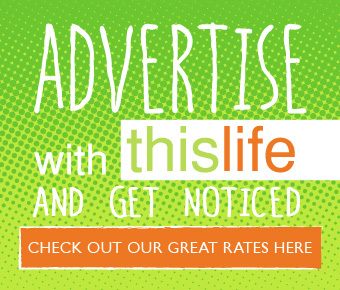 Thislife thinks it looks like fun. Are you game?